The dental ceramist is the artist that creates the smile from glass ceramics. Dental laboratories employ dental technicians to prepare the cases from trimming and mounting to waxing teeth and layering ceramics. With out an exceptional laboratory team and dental ceramist, a dentist with the best intentions for their patients will fail to meet expectations with the new smile. A dentist is nothing without a proper partnership with talented technicians. A dentist can not just simply pay for this relationship by sending their work to an expensive laboratory, he or she must earn this relationship by excelling in the field, earning respect and always providing the best quality records for the laboratory team. There are only a handful of dental ceramists who are master artists that create the most natural and life like veneers from the multitude of different materials available and different situations that present themselves in the mouth. The best dentists and technicians tend to know each other and of their work, as it is greatly appreciated in photographic presentations and journal publications among those circles of influence. Smile Stylists have relationships with some of the best technicians in the world. Having this relationship ensures that your new smile will look and feel natural. Among the profession it is the dental technician who is actually coveted and appreciated for their fine work and knowledge. Smile Stylists work to cultivate this relationship by always providing ideal records and providing the best documentation of high end photography and video to supplement their smile makeovers. The best technicians in the world do not choose to work at places like DenMat making Lumineers. The best dentists in the world do not trust their high end aesthetic work to a large laboratory where they do not know the ceramist who will create the smile. A patient should not ask a dentist to use a different laboratory than they normally use for their porcelain veneers. Not all the best ceramists work in California and New York and the best cosmetic dentists are familiar with sending their porcelain veneer cases to technicians all over the world. 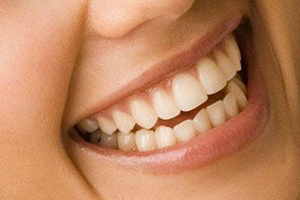 An experienced cosmetic dentist already have a relationship with an excellent cosmetic dental lab. Few technicians are used by the top cosmetic dentists in the world. A dentist is only as good as the laboratory they use for their porcelain veneers, use a Smile Stylist who already has a relationship with the best technicians for your new smile. Prices greatly vary when maser ceramists get involved in making porcelain veneers. A dentist who is not familiar with doing a lot of cosmetic dentistry can not understand how a dentist could pay as much as needs to be paid to get the top quality porcelain veneers. This is in part due to that regular dentists do not charge enough for the treatments. They expect a porcelain veneer to cost the same as their ordinary crowns and charge the same for the service. They send their same run of the mill laboratory that does their crowns, the porcelain veneer cases and they get mediocre work in return. The dentists don’t understand how dentists like Smile Stylists can pay 3 or 4 times more for high quality porcelain veneers from the best laboratories and artists. This may be acceptable for some patients, but the patents who see Smile Stylists are more differentiating and are expecting natural results.